If you are an IT person then you are not a stranger to troubleshooting Google Cloud print offline issues. Most of the organizations that we work for have integrated Chromebooks into their daily workflow. Chromebooks are a great time-saver, you simply open them up and they are right there and ready to go. Most schools and universities have already added Chromebooks to their fleet of tech gadgets aggressively. I cannot blame them from doing so, Chromebooks are extremely affordable and mobile which makes them attractive to many organizations. Here, I would like to discuss the greatest flaw with Chromebook use and that is when it comes down to cloud printing. Google provides their cloud print service to cloud-ready and non-cloud-ready printers but the service itself is still in beta stage and has been for the past four years. If you are currently experiencing Google Cloud Print offline issues then you are not alone, such issues are common throughout the tech world. The Google Cloud print service itself is in beta stage, which explains many of the cloud printing issues. Below, I will provide tips on troubleshooting Google Cloud print issues as well as an alternative solution to Google Cloud printing all together. This not a permanent fix for Google Cloud Printing service itself, that being said, there are many ways to reduce your chances of Google cloud printers from showing offline. Some of these tips may be within your control and others may not be. For example, if Google has an outage of their services then Google Cloud printing may be affected as well and that would not be within your control. However, if such issues were to happen, Google provides a status checker Google Apps Status, which you can refer to. They do not have a choice for Google Cloud Print, however if you detect multiple services like Google Hangouts were effected then there is a great chance cloud print services were affected as well. 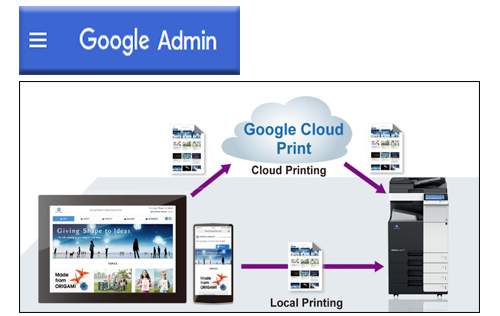 If you are setting up Google Cloud Print service for an organization, use the primary printers account on the cloud print server only. This is purely speculation but the printers account being shared with the employees may cause issues to the service account itself. If your users/management is constantly logging in and out of the primary printers account on different computers, this may cause service interruptions in your primary G.C.P server. It would be ideal for users to have Google Cloud Print groups setup and those groups added to the printers so that they can manage users from their own Google accounts. Always, get Google Cloud print supported printers whenever possible. If you have already invested a lot of money into non cloud-ready printers, then please be sure to have the latest firmware updates for those printers. Here are some of the printers that I’ve had success with, all of these are great printers. Please refer to HP’s website for a complete list. If you had success with others, please leave a comment at the end of the post. Check if your printer is online within in the local network and it doesn’t have a stuck print job, has paper and it is not out of ink. Some printers go completely offline in the print server in those cases and this may affect your cloud printers as well. Check if the server that Google Cloud Print Service is installed on is up and running and it can connect to the internet. Sometimes minor network changes, VLAN changes etc. can throw a server offline and it is easy to overlook this fact. Check to see if Google Chrome is functioning and you are signed in with the account that manages your cloud printers. Sometimes a simple re-login to the account can fix many of the Google Cloud Print Offline issues. 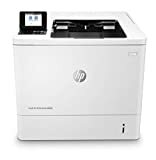 Restart the cloud print service itself, this will at most times refresh your printer list and bring back any Google Cloud Printers that are showing offline. It is best if you can set this service to restart automatically during a failure, Windows Server has built-in ways to do this however I recommended a program called AlwaysUP which gives you much more control. You can set the service to reboot automatically from time to time. Setup a backup deployment in another physical server or a virtual machine and educate your users to switch to the backup deployment if they see the primary printer deployments offline. If you have redundant internet options, setup the secondary server on a different network. This is so that if your local internet connectivity is affected then both servers are not affected at the same time. Then there are the worst case scenarios where a printer doesn’t come back online, shows jobs that are queued etc. In this case you may be forced to rebuild the whole service and re-deploy printers to your users. A little bit of early preparation can go a long way in this case, by adding users to a group and deploying cloud printers to that group can save you a lot of time. You can quickly add these groups back into individual printer shares and the printers would be shared with that whole cloud print group at once. I couldn’t get a clear answer on why these interruptions happen from time to time, my guess is that these interruptions are expected for a beta program. My advice is to minimize service disruption in your local network and with your internet service provider which can cut down on Google cloud printing issues. Aside from its shortcomings, I love Google Cloud Printing, being able to print from anywhere in the world is truly amazing. I have my home ESXI server setup with the cloud print service. Being able to print anything from my mobile phone to my home from anywhere is truly handy. Google Native printing may be the Google Cloud Printer killer for organizations who rely on printing services for their Chromebook users. I’ve recently started deploying native printers to the organization that I’ve work for and I’ve had tremendous success with it so far. I highly suggest you adopt Google native printing to your organization if they consist mostly of Chromebook users. Here are some of the pros and cons of Google Native printing. Native Printers can only be deployed to users in the Google Admin Panel at the time of this publishing (It would have been great to have them also deployed to devices). Native Printing is limited to your local area network only; this means you don’t have to worry about people abusing the system while outside your network. Native printers are only active within chrome devices in the (CUPS protocol environment ). This means less user confusion when it comes to selecting printers when they are on a Windows based computer. Google Native Printing is great, in another words it just works and stays working compared to the Google Cloud Print Service. 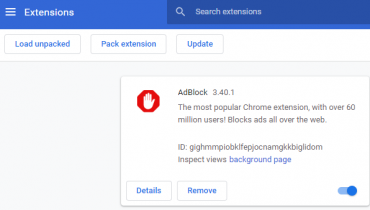 However, this doesn’t mean that we can get rid of the Google Cloud Printing service completely but we can certainly reduce our reliance on it. 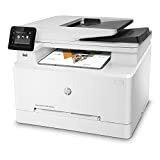 We will still need the Google Cloud Print service running for users with special access that needs to print their work to an organization’s printer while they are out and about. Are you interested in setting up Google Native Printing for your organization? Be sure to check out my upcoming article dedicated to Google Native Printing.